We’d love your help. Let us know what’s wrong with this preview of Ali by Jonathan Eig. To ask other readers questions about Ali, please sign up. Would this book be appropriate for a 13-year-old to read? The first book I ever reviewed on my blog, nearly three years ago, happened to be Jonathan Eig’s The Birth of the Pill. It was the strength of the writing in that offbeat work of history, as well as rave reviews for this 2017 biography of Muhammad Ali (1942–2016), that led me to pick up a sport-themed book. I’m the furthest thing from a sports fan you could imagine, but I approached this as a book about a cultural icon and read it with a spirit of curiosity about how Eig would shape this life st The first book I ever reviewed on my blog, nearly three years ago, happened to be Jonathan Eig’s The Birth of the Pill. It was the strength of the writing in that offbeat work of history, as well as rave reviews for this 2017 biography of Muhammad Ali (1942–2016), that led me to pick up a sport-themed book. I’m the furthest thing from a sports fan you could imagine, but I approached this as a book about a cultural icon and read it with a spirit of curiosity about how Eig would shape this life story and separate the facts from the legend. It’s a riveting account of outliving segregation and developing a personal style and world-beating confidence; it’s a sobering tale of facing consequences and having your own body fail you. I loved it. Today would have been Ali’s 76th birthday, so in honor of the occasion – and his tendency to spout off-the-cuff rhymes about his competitors’ shortfalls and his own greatness – I’ve turned his life story into a book review of sorts, in rhyming couplets. he’d not be Cassius Clay much longer. (the last time Cassius did as told?). hardly even got a chance. (though maybe things got out of hand). mostly he just wanted to box. they’re all here, and the details stun. but don’t stay too long like a dope. the young, slim ones will catch you out. Bow out before too many bouts. and think more about your own soul? and (close) your rank as an idol. Was it all real, your piety? Was it worth it in society? it’s about peace, being God’s heir. Is this story all about race? don’t think you know what’s going on. larger than life, Jesus or Nero? the world round ’till it lets you in. there’s a glister to it all the same. A man exists beyond the fame. What do you know beneath the name? Less, I’d make a bet, than you think. you won’t escape without crying. and fit for all, not just sports fans. Not much needs to be said about the impact Muhammad Ali made on the sport of boxing, civil rights in the United States or the Muslim faith. There have been many books and articles written about the man on all of these topics and more. Now there is one source for inside information on Ali the man, Ali the boxer and Ali the spiritual figure – this outstanding biography written by Jonathan Eig. Covering Ali’s entire life, from the childhood of Cassius Clay in Louisville, Kentucky to his death in 201 Not much needs to be said about the impact Muhammad Ali made on the sport of boxing, civil rights in the United States or the Muslim faith. There have been many books and articles written about the man on all of these topics and more. Now there is one source for inside information on Ali the man, Ali the boxer and Ali the spiritual figure – this outstanding biography written by Jonathan Eig. Covering Ali’s entire life, from the childhood of Cassius Clay in Louisville, Kentucky to his death in 2016, Eig uncovers stories behind Ali’s transformation from being one of the most despised men in America (at least by white Americans) to one of the most beloved figures. 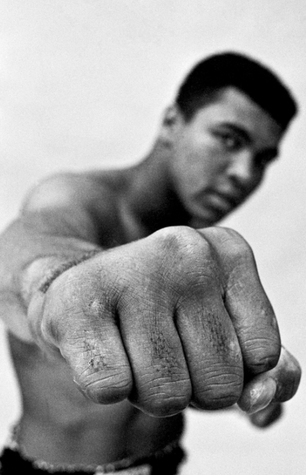 Information on just about every aspect of Ali’s life – his association with the Nation of Islam, his training methods, his marriages and eventually the neurological issues that plagued him even before his boxing career ended – are all addressed in the masterful storytelling that has won Eig widespread praise. Nearly anything that has been said about Ali, even if just in mythological or legendary status, is mentioned in the book. Stories such as the one about a stolen bicycle leading to his interest in boxing, the real source for his famous quote about “no quarrel with the Viet Cong” and the atmosphere of his famous first fight with Joe Frazier in 1971 at Madison Square Garden are written in a flowing style that makes them, and the rest of the book, a joy to read. This is the case even with controversial or unpleasant topics. The reader will gain a better understanding of the importance of the Nation of Islam in Ali’s transition from Cassius Clay to Muhammad Ali and the roles that Elijah Muhammad, his son Herbert and Malcom X played in that part of Ali’s life. Ali’s conviction on draft evasion, his subsequent association with Don King and his generosity with his money that led to financial problems. Through all of these, however, Eig never fails to remind readers that often Ali was simply being kind to everyone whom he would encounter. Ali’s boxing career is just as well chronicled as his life. Good coverage of nearly every fight in his career can be found in the book and the bigger fights such as the first and third fights against Frazier, his two knockouts of Sonny Liston and the “Rumble in the Jungle” against George Foreman have substantial pages written. While many of these fights have been covered in other books (some of which were references for Eig’s research as well as over 500 interviews), these accounts of those great matches will leave the reader reliving those fights or give some new information. Just like his biography on Lou Gehrig, Eig’s biography on “The Greatest” paints a comprehensive picture on a beloved icon in American sports in an enjoyable, entertaining book that readers will want to add to their libraries. One doesn’t have to be a boxing or sports fan to enjoy this, especially since Muhammad Ali transcended sports to become an iconic figure. It is a biography that comes close to that status in the world of books. I wish to thank Houghton Mifflin Harcourt for providing a copy of the book via NetGalley in exchange for an honest review. You more than likely have heard of Cassius Clay/Muhammad Ali, if nothing more than that he recently passed away. I was in high school in the 60’s when he won a gold medal in boxing in Rome at the summer Olympics, and when he won the heavyweight title by beating Sonny Liston. He was generally known then as a loud mouth, and many despised him for his “I am the Greatest of all tiiiiiimmmmmeeee” chant and his unorthodox boxing style. He was black and defiant. He refused to go to Viet Nam as a consci You more than likely have heard of Cassius Clay/Muhammad Ali, if nothing more than that he recently passed away. I was in high school in the 60’s when he won a gold medal in boxing in Rome at the summer Olympics, and when he won the heavyweight title by beating Sonny Liston. He was generally known then as a loud mouth, and many despised him for his “I am the Greatest of all tiiiiiimmmmmeeee” chant and his unorthodox boxing style. He was black and defiant. He refused to go to Viet Nam as a conscientious objector, was sued by the Federal Government for draft evasion and had to quit boxing, give up his livelihood for several years. But I came to know him as a truly caring and generous man through Jonathan Eig’s portrait. Some say he was the greatest athlete in the world in the 20th century. President Obama quoted Muhammad Ali after his death: ““From the White House, President Obama issued a statement that read, in part: “‘I am America,’ he once declared. ‘I am the part you won’t recognize. But get used to me—black, confident, cocky; my name, not yours; my religion, not yours; my goals, my own. Get used to me.’”” I think that says it all. I don’t generally read biographies, but this is one I sought out and was not disappointed. An exhaustively detailed account of the life of Muhammad Ali, born Cassius Marcellus Clay Jr in Louisville, Kentucky in 1942. The man who became one of the greatest, arguably most charismatic athletes of all time. Jonathan Eig strives to tell Ali’s story alongside the history of the America he inhabited, beginning with the origins of his birth name, taken from the man who owned his great-grandfather, a senator who saw no contradiction in espousing abolition while continuing to own slaves. 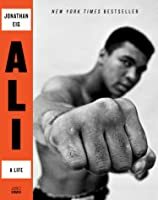 Eig covers Ali’s childhood, his tough father, his incredible bond with brother Rudy, the famous anecdote about the lost bike that led Ali to a small gym where his boxing career began, and goes on to carefully document each stage of his personal life and unfolding career in this brutally demanding sport. Eig frames Ali within a vivid picture of the growing Black Civil Rights’ movement fundamental to the environment of Ali’s youth, although he himself was initially unaware of its significance. He carefully delineates the socio-political events which became the foreground of Ali’s adult years, his ties with the Nation of Islam and Malcolm X, his profound political awakening and his incredible stand against the Vietnam war. The vitality of those early years form a stark contrast to Eig’s documentation of the later, painful decline after Ali’s Parkinson’s diagnosis. For Ali fans, and I am most definitely one of them, this will be a page-turner, as it was for me eagerly soaking in every detail of Ali’s life. But I couldn’t help comparing it to David Remnick’s more compressed account of Ali’s career, Remnick’s account is more elegantly phrased and constructed and, from my recollection, more cogent when it comes to cultural commentary. Here the sheer volume of information is impressive but it’s also, at times, overwhelming so that Ali himself sometimes gets lost in the detail - as does the sense of the sheer force of his personality, his incredible talent, immense discipline and the reasons for his iconic status. I also noted that online fans with a more extensive recall of Ali’s bouts have had some niggles about what is/isn’t included here. That said it’s an incredibly smooth read and probably a must for Ali devotees. This book is extraordinary for how well it conveys so many different things about 20th Century life in the United States; boxing, coming of age, race, Islam, marriage (and divorce and infidelity), social action, aging, and finally, the power of charisma and bravery. The writing is crisp and engaging, the subject matter(s) is fascinating and the pages just fly by. I could say more, but read this book and then, let's talk. Complex. Fascinating. Scintillating. Charismatic. Despicable. Inspiring. All words that describe Ali. The book itself was good but not great - it bogged down with repetition at times. Over all, the character pulled it along into a captivating story. I don't even like boxing and I still could not stop reading this book. I've read all of Jonathan Eig's books, and while his reporting and writing are always top-notch, ALI: A LIFE is his crowning achievement. Part of that, of course, is due to the fact that Ali was a fascinating, infuriating, dynamic man. His life had unbelievable twists and turns—most of it at his own making—and he was in the middle of so much history during some of America's most turbulent decades. But Eig doesn't glorify Ali, I don't even like boxing and I still could not stop reading this book. I've read all of Jonathan Eig's books, and while his reporting and writing are always top-notch, ALI: A LIFE is his crowning achievement. But Eig doesn't glorify Ali, nor does he insult him. He does something much harder: He humanizes him. I finally feel like I understand Ali's motivations, his strengths and weaknesses—and see him as more than some kind of super hero or cartoon. And that's a testament to how well-written and well-reported this book is. And with each boxing match described, I cringed a little more at how this one-of-a-kind man was disappearing with each punch. Jonathan Eig's "Ali: A Life" is a detailed and comprehensive biography. The book charts the life of heavy-weight boxer Muhammad Ali, perhaps the most famous athlete of the Twentieth Century. It is an arguable point, but Ali would have had an answer. He would say that he was the greatest of all time. Except that he would say "of allllll times.....!!" "Ali: A Life" was published in 2017 by Houghton Mifflin Harcourt and has a length of 640 pages. There are several distinct narratives living between Jonathan Eig's "Ali: A Life" is a detailed and comprehensive biography. The book charts the life of heavy-weight boxer Muhammad Ali, perhaps the most famous athlete of the Twentieth Century. It is an arguable point, but Ali would have had an answer. He would say that he was the greatest of all time. Except that he would say "of allllll times.....!!" "Ali: A Life" was published in 2017 by Houghton Mifflin Harcourt and has a length of 640 pages. There are several distinct narratives living between the covers of this book. There is the story of a heavy-weight boxer, Muhammad Ali. In and of itself, the tale of Ali's life would carry a normal biography. His larger-than-life personality, both in and out of the ring, made him front-page news. Ali's fame ran far outside the borders of the United States. Not only was he one of the most famous men in the USA, he was quite likely the most recognizable face in the world. And that face was Black. Muhammad Ali was a Black Man. He was not a quiet Black Man. He did not fit into the mold of what a Black athlete was supposed to look like in a White society. Muhammad Ali was the man who would break that mold; upset the comfort zone of sportswriters and boxing fans. And this controversy, this collision of worlds, is the stuff of the second narrative. The second narrative is about race in the United States. As a reader, I found a third narrative woven into the story of Muhammad Ali. That story was an oblique cultural history of the last quarter of the 20th Century. The perspective is as of something viewed in a mirror. In this case, the mirror is the life of Muhammad Ali. To return to our first narrative: A Life. For readers who love a straight biography, there is a lot of meat here to chew on. Mr. Eig covers Ali's early life, when his name was Cassius Clay. We see a young boy growing up in segregated Louisville, Kentucky. He is always on the move, always in motion. Soon he is learning to box; the story of Cassius Clay mentored by a White policeman. Clay boxes his way to the US Olympic Team and a Gold Medal. And the story goes on, tracing his path to his first heavy-weight championship. The personal life of Muhammad Ali is documented in great detail, including the flaws and clichés that would become famous. The story continues, of course, through a new name, through other fights, other losses, other wives. As this very personal and complex life plays out, the author brings us to a fourth narrative but I will leave that for the last, as Mr. Eig does. Woven through the transition from Cassius Clay to Muhammad Ali is the question of race in modern America. The very idea of race, of what it means to be a Black Man in the United States, is part and parcel to the life story of Muhammad Ali. There is no separating the two. Ali would not be quiet and he would not be humble. Ali would not be contained or defined by any preconceived notion of what a Black athlete should or should not do or say. Then, as if to draw the question of race into sharper focus, Cassius Clay did the unthinkable. He changed his name, he changed his religion, and he thumbed his nose at the US Government. He became more than a loud-mouthed Black boxer. Now he was thorn-in-the-side of those who hold the reins of power. Ali was a threat to the status quo. Challenging the Powers-That-Be is a dangerous game. Cassius Clay changed his name to Muhammad Ali after becoming a member of the Nation of Islam. During these tumultuous times, the life of Ali holds up a mirror for the reader. In this mirror, we see many of the famous Black men of the time. Malcolm X was a friend and mentor to Ali, until the former split with Elijah Muhammad. Ali had to chose between the two men, and the choice would haunt him. Dr. King is seen through the mirror of Ali's life, as are Jesse Jackson and Louis Farrakhan. There were the Black men Ali would fight: Sonny Liston, Joe Frazier, Ken Norton, George Foreman, and Larry Holmes. Over the course of his career, we see Ali stripped of his title for refusing the Vietnam draft. We see him regain the heavy-weight title. Things are changing in the world. Black athletes from the US Olympic Team give the Black Power salute from the podium. Ali becomes a star. Some of the sportswriters that formerly reviled him now embrace him in their columns. There remains a final narrative to the story of Muhammad Ali. Like many champions, he stayed too long. There are other clichés as well, sad and oft heard. There were other famous men, Black men, who would take advantage of the Champ. They sought a way to make a profit from Ali. It is the same sad story that happened to other champions from the past. Then there began to be clear signs that all was not well with the Champ. He was slower in the ring. He was slurring his speech. This was the time, the moment where Ali could have made the choice to retire. The Black men who profited from the Champ, Don King, Herbert Muhammad, they could have stopped Ali. But they did not. There was money to be made. Here we enter the final tragic chapter, the neurological damage that Muhammad Ali suffered. The end of Ali's life is the story of him dealing with this damage. "Ali: A Life" is a well-written and well-crafted biography. The author does not pull any punches when it comes to the Champ's life. We see Ali as he was; complex and brilliant, flawed and naive. We see his generosity and his selfishness. Ali's life story is a large narrative, but when overlaid with the story of race and culture in the USA, this book reaches very far. I am happy to say that the author's reach does not exceed his grasp. A wonderfully successful biography, this is highly recommended reading. Muhammad Ali was, by far, the greatest sports figure of the 20th century. His is a personality that no one will ever be able to "figure out" entirely. He was simultaneously thrilling, charming, disappointing, and malicious. But he was the greatest pugilist of all time(s), and his accomplishments speak for themselves. This biography by Jonathan Eig is a knockout punch. For sure, no other author has been able to capture Ali in so complete a way as Eig. The depth of the research is very impressive- Muhammad Ali was, by far, the greatest sports figure of the 20th century. His is a personality that no one will ever be able to "figure out" entirely. He was simultaneously thrilling, charming, disappointing, and malicious. But he was the greatest pugilist of all time(s), and his accomplishments speak for themselves. This biography by Jonathan Eig is a knockout punch. For sure, no other author has been able to capture Ali in so complete a way as Eig. The depth of the research is very impressive- the FBI files were a fascinating addition, and the interviews with Ali's entourage and family were obviously legion. Before reading, I listened to Eig's "Chasing Ali" podcast, and I knew this book was going to be awesome. I wasn't let down at all. It's obvious that Eig admires his subject very much, but he does not let that overtake the narrative. The book presents a very balanced picture of the champ, showing us all the wonderful things about him but not hesitating to expose the flaws in Ali's character. I saw how charitable Ali was and the concern he felt for his fellow man, but also how he said genuinely hurtful things to his opponents (especially Joe Frazier) and his callous treatment of his wives. The brave stand Ali took against the government during the Vietnam War is treated fairly, as is Ali's naivete in letting the Nation of Islam take advantage of him throughout his career. Perhaps most poignant of all is the statistics Eig presents concerning the blows Ali took to the head, and how that caused his slow decline into Parkinson's disease. I won't reveal the figures here, but they are truly terrifying. Early on in the book you can easily see the fast, slick Ali with a lightning jab, and as the book progresses, it becomes truly heartbreaking to read about the gradually-slowing Ali, until he unwisely stepped in the ring with Larry Holmes and Trevor Berbick, at which point he could barely even raise his arms to protect himself. I feel that many of the questions concerning Ali's health later in his career were laid to rest in this book. The data is laid flat out, the verdicts of doctors and clinics scrutinized. - This is more of a personal dislike, but I didn't care for the amount of anaphora (something that bugs me). By this I mean paragraphs where multiple sentences begin with the same words, i.e. "He didn't care that.......He didn't care that......He didn't care that......" I acknowledge that this can be very effective when used right, but I tire of it after two or three instances. - I think the book could have used a further exploration of the relationship between Ali and Howard Cosell. This is an important part of Ali's life, because Cosell was one of the few prominent figures in white America to support Ali when he converted to Islam and resisted the draft. The two became like brothers, griping and making fun of each other, all in jest of course. They were friends for life, and represented the sort of camaraderie that Civil Rights had fought for. Given that he is easily one of the most famous, most charismatic figures of the twentieth century, it would almost be a perverse achievement to write a dull book about Muhammad Ali. But Jonathan Eig - whose “Ali: A Life” sets out to be the definitive biography of Muhammad Ali, from his upbringing in Kentucky in the 1940s until his death in 2016 - is following in illustrious literary footsteps here. Such literary giants as Norman Mailer, Joyce Carol Oates, and George Plimpton and such skilled bio Given that he is easily one of the most famous, most charismatic figures of the twentieth century, it would almost be a perverse achievement to write a dull book about Muhammad Ali. But Jonathan Eig - whose “Ali: A Life” sets out to be the definitive biography of Muhammad Ali, from his upbringing in Kentucky in the 1940s until his death in 2016 - is following in illustrious literary footsteps here. Such literary giants as Norman Mailer, Joyce Carol Oates, and George Plimpton and such skilled biographers as David Remnick and Thomas Hauser have already produced brilliant volumes that have explored the immense charm and magnetism, the courage and bravery, the religious and political militancy of Muhammad Ali – a man who was once one of the most polarising figures in American life, but who went on to become one of the most loved. Thankfully, Jonathan Eig’s comprehensive biography is a worthy addition to the rich canon of literature and publications on Muhammad Ali. Produced from almost 600 interviews with the key figures from Muhammad Ali’s life – and making use of new research into Ali’s boxing career and medical history – Eig shows how Ali developed from being a boxing-obsessed, hyperactive loudmouthed teen whose “attention was focused on boxing, girls, cars, money, and mirrors” to the most famous (and, at times, the most hated) man in the history of sport. That Ali occupies such a space in our firmament of celebrities and sportsmen was in no small part down to the fact that, not only was he an incredible athletic specimen, but he was also a marketing genius. As Eig credibly claims, “no athlete in American history had ever been so conscious of the power of brand building”. What makes Ali such a compelling character – and such a goldmine for biographers and historians – is that he was an absolute mass of contradictions. Eig believes that these contradictions came out of Ali’s constant craving for publicity and attention: “It turned him into a fighter who said he didn’t care to fight … a radical who wanted to be a popular entertainer, an extravagant spender who said money meant nothing to him … an anti-war protester who avoided organised demonstrations … a religiously devout and demanding husband who openly cheated on his wife”. Jonathan Eig is a huge admirer of Muhammad Ali, but unlike a few previous biographers of Ali, he is no awestruck sycophant, and this book is no hagiography. There is no attempt to whitewash his longstanding involvement with the Nation of Islam (as detailed in this book, Ali’s prevarication when that organisation ostracised and threatened Malcolm X – before eventually assassinating him – was deeply troubling). Eig repeatedly draws attention to Ali’s propensity to viciously belittle - and frequently race-bait - his black opponents. Whether it was part of a marketing stunt to drive ticket sales or not, it is nauseating to see a supposed civil rights icon disparage men like Joe Frazier as an “Uncle Tom”; thus, in the words of Eig, “undercutting what he claimed to be one of his primary goals: the uplift of black people ... denigrating strong, honourable, hard-working black men with whom he should have stood shoulder-to-shoulder as symbols of pride, men worthy of admiration from black and white Americans”. Even the most casual observer of Ali’s life will be unsurprised to hear that, in terms of his personal life, he wasn’t exactly a model of fidelity and faithfulness (Eig labels him a man “unfettered by marital convention”). But, the sheer scale of his womanising as outlined in this book is staggering. Seemingly, throughout his life, Ali would screw anything that wasn’t nailed down first. Nonetheless, it is jaw dropping to read of his preparation for his first battle with Joe Frazier, which involved Ali picking up prostitutes on the afternoon of the fight and bringing them back to the very same hotel in which his wife and children were staying! Eig ascribes this compulsion as being down to Ali “fearing isolation far more than he feared Joe Frazier”, which appears to be quite a charitable interpretation. Reading Eig’s account of Muhammad Ali’s boxing career, you get the impression that the ‘Rumble in the Jungle’ (when Ali defeated George Foreman to regain the heavyweight championship by deploying his ‘rope-a-dope’ tactic) was possibly the worst thing to ever happen to Ali. His shock victory in the ‘Rumble in the Jungle’ convinced Ali he could triumph, not through using the speedy reflexes that were the hallmark of his early career, but by opening himself to unmerciful pummellings at the hands of his opponents in the hope of wearing them out. ‘Rope-a-dope’ worked once, spectacularly, but as Eig speculates it most likely had a ruinous effect on Ali’s long-term health. When this physical courage and tactical recklessness was combined with Muhammad Ali’s notoriously chaotic approach to personal finance, you can see why he continued his boxing career long after it would have been medically advisable to do so. The need to maintain the lavish lifestyle he had become accustomed to – and to maintain the lifestyles of the vast retinue of hangers-on that he had accumulated – meant Ali having to return to the well and take beatings off younger, quicker adversaries throughout the 1970s. Jonathan Eig sadly notes how Ali was a man who “sacrificed his health and reputation for the pursuit of the next paycheck” and “shots to the head were the price he would pay to continue his career”. Some of the freshest research that Jonathan Eig has done for this book involves a statistical analysis of all of Ali’s fights, breaking down how many times he hit his opponents and how he many times he was hit (and where, and how hard). Drawing on statistics from the computerized scoring system CompuBox, Eig’s analysis of the first half of Ali’s career (essentially before he was banned over his anti-Vietnam war stance) shows that he was unbeatable … and unhittable. But, when he returned to the ring after a 4-year ban, he was slower, less agile, and shipped far more punishment at the hands of his opponents (by his final nine fights, he was getting hit by twice as many punches as he was landing). All of this contributed to the desperately sad spectacle that Eig describes, of Ali in the final phase of his fighting career: “he had lost his legs, lost his reflexes, lost his quick hands, lost everything but his guile and his willingness to suffer and endure”. Something I found disappointing about “Ali: A Life” is that Jonathan Eig skirts over the last three decades of Muhammad Ali’s life in little more than 30 pages. Given that it is twenty years plus since the publication of what were previously seen as the definitive Ali biographies (by Thomas Hauser, David Remnick, et al), it is perplexing that Eig doesn’t significantly expand on those works and undertakes only a cursory examination of Ali’s (admittedly illness-wracked) later years. A fantastic account of a brilliant life. I started reading this book, and could not put it down. The author captured the enthusiast nature of Ali's personality and rise to fame, as well as the turbulence of the Civil Rights movement. A fascinating book, my second book by this author. I didn't particularly like the arrogance of Mohammed Ali back in the day but I grew to understand him more and the author convinced me to appreciate Ali's talent and tenacity. The world of boxing is interesting to me and the author definitely increased my interest. Muhammad Ali was larger than life, and I too was swept up in the collective, national mourning when he passed away two years ago in 2016. Perhaps my earliest *specific* memory regarding sports on television was when Ali lit the Olympic torch in Atlanta in 1996. I remember, probably my father, recall virtual tall-tale stories about his "rope-a-dope" technique and his epically-named bouts including "the Rumble in the Jungle" and "the Thrilla in Manila." Jonathan Eig's biography definitely investig Muhammad Ali was larger than life, and I too was swept up in the collective, national mourning when he passed away two years ago in 2016. Perhaps my earliest *specific* memory regarding sports on television was when Ali lit the Olympic torch in Atlanta in 1996. I remember, probably my father, recall virtual tall-tale stories about his "rope-a-dope" technique and his epically-named bouts including "the Rumble in the Jungle" and "the Thrilla in Manila." Jonathan Eig's biography definitely investigates and humanizes the tall tale, but it also respects the folklore treatment of this legendary boxer's career. For example, by counting punches and taking the reader through every significant boxing match of his career, Eig reveals that statistically, Ali was an average, if not below average boxer when it came to landing punches. He was hit a remarkable amount of times more than he hit others. His mouth, taunting his opponents before and during matches, and his foot speed were really the two factors that lead to his success as a three-time World Champion of Boxing. It is interesting to see how Ali eventually sided with the Nation of Islam over Malcolm X at the time of his falling out with the prophet. Ali was unquestionably loyal to the Nation of Islam's prophet, and yet, he was continually being reprimanded (and at times suspended from the organization) for his participation in boxing--sports and arts were condemned by this branch of the Islamic religion for being too casual and controlled by the manipulative and domineering "white American devils." Ali obediently divorced his first wife when she showed no interest in joining the Nation of Islam. He seemed to have a sincere desire to be a good Muslim, but he continually struggled to be faithful to his wives at the various times he was married to them--he was aware of this incongruity and regularly admitted to not being worthy enough to be a minister of his faith. And then there is the Ali who objected to fighting in the Vietnam War for an American government that was not fully protecting the rights of African-Americans. This is fascinating in a time of Colin Kapernick and NFL players being lambasted for their public protests. Ali was a heel to many Americans in the first half of the 1960s, but by decades end he had won over many detractors and became the image of American patriotism, success, and valor. He is an interesting case study in the role of sports in political protest. This was a lackluster biography. It was an easy and pleasant enough read, but not a particularly rewarding one. Its main failing was the absence of any overarching premise about Ali as a person, as a boxer, or regarding his legacy within both his sport and American culture. As such, there’s no real point to the book, leaving it to exist as a simple narrative of Ali’s life for the uninitiated. Though it adopts a refreshingly more critical “warts-and-all” view of its subject than hagiographer/auth This was a lackluster biography. It was an easy and pleasant enough read, but not a particularly rewarding one. Its main failing was the absence of any overarching premise about Ali as a person, as a boxer, or regarding his legacy within both his sport and American culture. As such, there’s no real point to the book, leaving it to exist as a simple narrative of Ali’s life for the uninitiated. Though it adopts a refreshingly more critical “warts-and-all” view of its subject than hagiographer/authorized biographer Thomas Hauser’s Muhammad Ali: His Life and Times, presenting Ali as a warm-hearted but self-centered, childish, philandering man, it does not enhance the existing understanding of Ali, as those aspects of his character were already well-documented in other books and various media and they do not cohere here into a greater whole. Eig, who tends to focus more on race than boxing, also grates in his attempts to come across as the “wokest” of the “woke,” most pathetically in suggesting Ali became something of a sell-out in the ‘70s in return for wider popularity and barely concealing his contempt for Ali’s endorsement of Ronald Reagan’s re-election bid in 1984. The latter Eig shamefully submits as proof of brain damage. Beyond those issues, a general sense of incompleteness pervades the work. There is limited background information about the Nation of Islam and its most bizarre and controversial beliefs (Mr. Yakub, orbiting “mother plane” spaceships, etc.) are essentially ignored. Well-known supporting figures so ubiquitous in Ali’s life and career—“Bundini” Brown, Angelo Dundee, Howard Bingham, etc.—barely garner passing references here. I don’t know how it’s possible to write a proper full-length biography of Ali without more than a handful of references to Bingham, Ali’s closest and truest friend. Likewise, the entirety of Ali’s post-boxing life is treated in roughly 35 pages with a hastiness that verges on carelessness. There are biographies, and then there are books like Ali. Jonathan Eig perfectly captures everything about Muhammad Ali's ascent to becoming the greatest boxer the world had ever seen, as well as the most famous and polarizing figure ever recorded in history. It also captures his decline, his faults, his ambitions, his good heart, his pure soul, and his inability to ever resist temptation, which was perhaps his biggest flaw and the one that contributed most to the arc of his life. Ali is my role There are biographies, and then there are books like Ali. Jonathan Eig perfectly captures everything about Muhammad Ali's ascent to becoming the greatest boxer the world had ever seen, as well as the most famous and polarizing figure ever recorded in history. It also captures his decline, his faults, his ambitions, his good heart, his pure soul, and his inability to ever resist temptation, which was perhaps his biggest flaw and the one that contributed most to the arc of his life. Ali is my role model, I met him once in college and you could still see a gleam in his eye even as his face betrayed little emotion. What Eig captures here is a man who reveled in his blackness, a boxer who seemed invulnerable to racism but who was also supremely vulnerable as a man in his personal life. I applaud Eig for calling out the inconsistencies in Ali's life and speech. The fact that the same man who for years thought of whites as blue-eyed devils also got his start from a group of well-meaning white men and received most of his genuine help and assistance from white men along the way. The fact that Ali's 'friends' never stood in the way of his next payday, even when they could see that The Champ's mind and body were struggling, because they stood to get paid too. "With friends like these..." one could say. Even coming from a family which doesn't watch boxing, you can't have grown up in the 60s and 70s without knowing the name of Cassius Clay, that he changed it to Muhammad Ali, and that he was hugely popular and controversial. In spite of this, I knew little of his life except some of the big names he fought, and of course the moving event when he lit the Olympic torch in Atlanta. Eig does a brilliant job filling in the moments in Ali's life, the fights, marriages, infidelities, his conversion to Even coming from a family which doesn't watch boxing, you can't have grown up in the 60s and 70s without knowing the name of Cassius Clay, that he changed it to Muhammad Ali, and that he was hugely popular and controversial. In spite of this, I knew little of his life except some of the big names he fought, and of course the moving event when he lit the Olympic torch in Atlanta. Eig does a brilliant job filling in the moments in Ali's life, the fights, marriages, infidelities, his conversion to Islam, etc. All of this is placed within the context of the times. First of all the book: well written narrative bio of Ali. I liked that it was even handed for the most part. The author told the bad along with the good. The author was obviously a fan and occasionally let that overtake his analysis, but thankfully this was not too frequent and brief so it did not detract too much. Recommended. I have mixed emotions about Ali. One of the chapter titles summed it up nicely I thought, "He's human, like us"
(view spoiler)[He was capable of great kindness to people he First of all the book: well written narrative bio of Ali. I liked that it was even handed for the most part. The author told the bad along with the good. The author was obviously a fan and occasionally let that overtake his analysis, but thankfully this was not too frequent and brief so it did not detract too much. Recommended. (view spoiler)[He was capable of great kindness to people he didn't know and some friends, but at the same time he often treated his close friends and family badly. He would drop everything to visit hospitals and schools, but turned his back on his friend Malcolm X and treated Joe Frazier despicably. He was not a good husband or father. Personally, I am not convinced his draft refusal was for honorable reasons. Just my opinion. In a nutshell, I think Ali had great charisma and a talent for boxing. History has shown that charisma is a powerful force. Is he the best heavyweight boxer of all time? I'm not a boxing expert and not really a fan so I don't know. Most lists say he is. Not sure if that is true or if he proclaimed it so often people believe it is true. I did notice that the latest ESPN list has Joe Louis at the top. I did bristle at the "Greatest athlete of the 20th Century" proclamation. Just opinion, but not in my top five. Superb piece of research and fine writing style made Ali come alive in a way I had not read before, especially the later years. Such was Eig's access to nearly every living person important in the champ's life that he was in the Scottsdale, Arizona, hospital room when Ali died. I can't wait to see his collaboration with Ken Burns for their film doc on this beloved figure. More comprehensive than Remnick’s “When We Were Kings”, this captured the good and bad sides of Ali. There was more of an emphasis on his deterioration (late 70s) because of what is now known about CTE. Inspiring and heartbreaking, Ali’s story encapsulates what is wonderful and what is terrible about America. I am old enough to remember much of what this book covers. If you are older, this book is a great trip down memory lane. If you are younger, it is a great introduction to one of sports greatest figures. Very well written and holds your attention like glue. Highly recommended. not a hagiography. a warts and all well-written account of a true world icon. I read other monographs on facets of Ali's life, but I can't imagine someone doing a more comprehensive and fluent work on Ali. Shakespearean in character and plot, Falstaffian in appetites, Ali was an autodidact of the Mouth. A bard as a linguist and a shameless hype machine that knew no bounds. And he happened to be the greatest heavyweight ever. There was darkness in him when he railed against other black fighters as Uncle Toms and philandered on his four wives, sometimes with his four wives, an I read other monographs on facets of Ali's life, but I can't imagine someone doing a more comprehensive and fluent work on Ali. There was darkness in him when he railed against other black fighters as Uncle Toms and philandered on his four wives, sometimes with his four wives, and Yet he accomplished so much. Sure he was a great boxer but his irreverent cast as the unapolgetic, even grandiose, black man broke new ground in American society. Excellent, in depth biography of the self-proclaimed greatest boxer. Oddly, Ali reminded me of Tom Cruise. An outstanding bio on a larger-than-life personality who was many different things to many different people. Eig covers Ali's storied life (the boxing career, religion, family, legal / financial problems, etc.) in great detail to offer a fair portrait of the man. Strongly recommended to those interested in sports, celebrities, and/or 20th-century history. One of the best biographies I’ve ever read. It reads like a Greek tragedy with Ali’s fatal flaw being that he could never say no to anyone. His fans, women, promoters, the president, etc. The writing is excellent and the fight descriptions make you feel like you are ringside. I want to watch some of the fights now that I’ve read the inside scoop of what was happening and see if it matches what the author described. So many other people move in and out of his life that I knew the name but not the One of the best biographies I’ve ever read. It reads like a Greek tragedy with Ali’s fatal flaw being that he could never say no to anyone. His fans, women, promoters, the president, etc. So many other people move in and out of his life that I knew the name but not the connection. Don King, Malcolm X, Martin Luther King, etc. Ali Had so many things going on his life. Race, religion, the Vietnam war, his wives and multiple children and his success as a boxer make for an incredible life with tragedy and triumph. Jonathan Eig is the author of five books, three of them New York Times best sellers. He is a former reporter for The Wall Street Journal. His most recent book is "Ali: A Life," hailed as an "epic" by Joyce Carol Oates in her New York Times review. His previous books are: "Luckiest Man: The Life and Death of Lou Gehrig;" "Opening Day: The Story of Jackie Robinson's First Season;" "Get Capone;" and Jonathan Eig is the author of five books, three of them New York Times best sellers. He is a former reporter for The Wall Street Journal. His most recent book is "Ali: A Life," hailed as an "epic" by Joyce Carol Oates in her New York Times review. His previous books are: "Luckiest Man: The Life and Death of Lou Gehrig;" "Opening Day: The Story of Jackie Robinson's First Season;" "Get Capone;" and "The Birth of the Pill." He is now at work with Ken Burn on a PBS documentary about the life of Muhammad Ali.